• if the reinforcement ratio exceeds 0.01 (but its exact value may not be known yet), 30% of the stiffness ECIC of the uncracked gross concrete section. When an estimate of the effective stiffness on the low side is used in the analysis, second-order effects increase, which is safe-sided in the context of Eurocode 2. In contrast, within the force- and strength-based seismic design of Eurocode 8 it is more conservative to use a high estimate of the effective stiffness, as this reduces the period(s) and increases the corresponding spectral acceleration(s) for which the structure has to be designed. The use of 50% of the uncracked section stiffness serves exactly that purpose. However, lateral drifts and P-A effects computed on the basis of overly high stiffness values may be seriously underestimated. 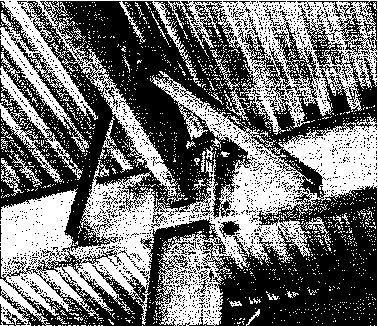 Torsion in beams, columns or bracings is almost immaterial for their earthquake resistance. In concrete buildings the reduction of torsional rigidity when the member cracks diagonally is much larger than that of shear or flexural rigidity upon cracking. The effective torsional rigidity, GCei, of concrete members should be assigned a very small value (close to zero), because torsional moments due to deformation compatibility drop also with torsional rigidity upon cracking, and their overestimation may be at the expense of member bending moments and shears, which are more important for earthquake resistance. The reduction of member torsional rigidity should not be effected through reduction of the concrete G value, as this may also reduce the effective shear stiffness GAsh, and unduly increase member shear deformations. WHAT IS THE torsional stiffness RATIO of cracked and uncracked concrete members?